Chant is a powerful vehicle for creating a deep connection with Spirit. This may be why just about every religion practiced since the beginning of time has used some form of chant. Repeating simple phrases and melodies can induce a deep state of relaxation quickly and easily. If you have tried other methods of meditation and found you had trouble clearing your mind and settling down, rhythmic chant may be more effective for you. In addition to the spiritual benefits of chant, there are positive effects on health as well. 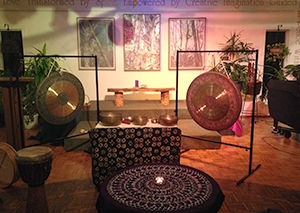 Chanting can reduce pain, produce relaxation, and lower blood pressure. Here is an interesting BBC Radio broadcast about the power of chant and spiritual sound. Toning is another simple form of chant that anyone can easily do. It uses no words or rhythm and involves chanting long sustained vowel sounds. Toning is a great tool for reducing stress. 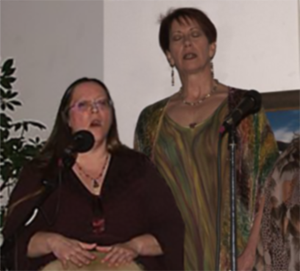 Another form of toning which has an intriguing sound is overtone chant. With overtone chant you can actually produce more than one pitch at the same time with a single voice, by isolating certain naturally occurring harmonic overtones. One well known example of overtone chant is the "deep voice" chanting of Tibetan Buddhist monks. It takes some training and practice, but once mastered, can produce a beautiful ethereal sound. You really have to hear it to believe it. The most amazing examples of this I have ever heard are by David Hykes and The Harmonic Choir. Even simply listening to music can help induce a meditative state. Most of us probably agree and have experienced how music can affect our mood and even our physiological state. That's why soundtracks are so effective in movies. For example, the intense music and sounds in movies like "Jaws" and "Psycho" quicken the pulse and keep us on the edge of our seats. Music can make us feel happy or sad or relax us. Music can affect brainwave frequencies, entraining the listener to different brain states.